I recently had the opportunity to catch up with friend and fellow nanny turned author, Shellie Braeuner. 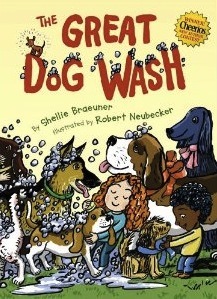 While nannying, Shellie penned The Great Dog Wash and entered it into the first Cheerios Spoonfuls of Stories Contest. She won the content and Simon and Schuster paired her with Robert Neubecker, award winning illustrator, and published her book. In 2013 a children’s memoir about Shellie’s fourth grade year, the year she was diagnosed with a serious vision problem, will be published by Woodley Books. eNannySource.com: How did you become a nanny turned author? Shellie: I have been a storyteller all my life. Even as a very young child, I would thumb through the newspaper or magazines and make up stories that would link all the pictures I saw. This habit was very handy as a nanny. I strictly limit television and radio when I am with a family. Instead we would play and when riding in the car, we would talk, share our day and tell stories. The children loved to pick out items we saw as we drove to add into the tales I wove for them. When a family I worked for moved to Atlanta, I moved with them. The parents saw how many stories I created for their children and how the children enjoyed them. They both encouraged me to look into publication. They surprised me with airfare to one of my first writing conferences. I actively started learning about the business of children’s publishing. The family has been incredibly supportive of my writing and continues to be my biggest fans. eNannysource.com: How did your nanny experience shape your writing? Shellie: In general, spending time with the children highlighted the types of books that children really enjoyed. Many of the books the children requested over and over were not critically acclaimed or bestsellers. Instead, the books children love have something special that connects with the individual child. For example, after her brothers had read and discarded Rodeo Ron and His Milkshake Cows, one two-year-old charge picked it up and fell in love. I probably read her that book 200 times. At eight, she still giggles when she reads it! In 2008, while washing the family dog, the youngest child I cared for inspired a picture book that won the Cheerios Spoonfuls of Stories Contest. 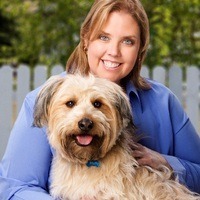 The Book, The Great Dog Wash, was purchased by Simon and Schuster and I dedicated it to the little one I cared for. eNannySource.com: How important is it that nannies and parents read to children. What types of books? Shellie: It’s vitally important that children are read to everyday. Study after study has shown how this impacts a child’s vocabulary and future school success. I also think it’s important that children are read to individually by people they love. I think this gives little ones a window into the wider world while they sit safely on the lap of someone they trust. The choice of books is an individual one. In my experience there is no such thing as “girl books” or “boy books.” I even ignore many of the age suggestions. When I started reading a chapter of The Lion, The Witch and the Wardrobe to a six- year-old one summer, his three year old brother became interested and quickly stopped playing to join us. He so loved hearing a chapter of a “big book” every day that we made it through the Narnian Chronicles and the first three Harry Potter books before he started preschool. 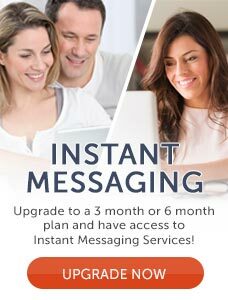 eNannySource.com: What advice do you have for nannies and parents when it comes to choosing books? Shellie: I often tell parents and nannies that they are the experts on the children entrusted to them. You know if your child enjoys drama, slapstick humor or adventure. If you don’t know what type of book your child enjoys most, find out! The best way is to take your child to the library or your local bookstore. While I love online ordering for many things, it will never take the place of sifting through books with a child to find just the right story. Children need to see, touch and experience a book to really connect with it. I would also add a word of caution about e-books and pre-school children. Many digital books for young children offer “enhancements” in the form of moving characters and cartoon sequences. These are designed to attract the child and keep them entertained. Unfortunately, they are also major distractions. They draw the child’s eye from the words to the moving picture. This may affect the child’s understanding of reading. Personally, I limit all screen time daily. This includes TV, computer, phone and tablets. In addition, pediatricians have found that these enhanced ebooks stimulate the brain in the same way as TV and video games, whereas reading a traditional book relaxes the child and helps them focus. So your bedtime ritual should include a traditional book rather than a digital edition. In short, while an occasional ebook is fun, make sure your child has access to plenty of traditional books. And always end the day reading a quiet book with the child you love. You can learn more about Shellie on her website, http://www.shelliebraeuner.com/.